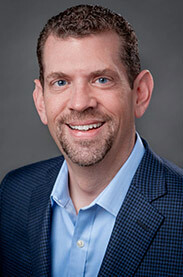 The first point to note is that every customer touch point is an opportunity to gather BI. From the moment they engage with you, whether that’s on the phone, online, or in a local environment, your customers are a source of information about how well your people, processes, and brand are performing – and how they are perceived. What started as a way to gather post-service feedback has become a complete source of actionable insight you can use to streamline, connect, speed, and personalize engagements from the point at which a customer or prospect first finds you online. Collecting data at every engagement point in the customer journey yields a holistic performance snapshot. It also serves to influence customer behavior, improve processes, and raise satisfaction for customers and employees at each point. You gain a detailed understanding of how your environment, operations, staff, and customers are interacting – and what improvements can be made quickly and over time to improve. Gaining complete insight into your organization requires a fully integrated, web-based BI solution that allows you to aggregate, dissect, visualize, and analyze data. The solution should work consistently behind the scenes to generate and feed real-time data into fully accessible, uniquely configured dashboards. Within those interfaces, associations between statistics and analytics clearly reveal how one component of the customer experience effort influences one another. With this quantitative insight into metrics, trends, and exceptions, everyone on your staff from the call center to the chief of operations can make informed decisions quickly. 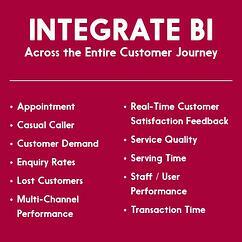 Qmatic believes that BI is one of the most important drivers of a successful customer journey management solution. It’s why we built BI capabilities into every component of our enterprise platform, Orchestra. The Qmatic BI solution is designed and engineered to integrate with third party solutions and built to feed data into the most useful format possible. Every action is stored automatically as a statistical event within a secure centralized database. From there, the intelligence can be pulled into dashboards where it can be configured to produce benchmarks, make comparisons, inform real-time decisions, and even build strategies for future efforts. By ensuring that every event from the first appointment to the final farewell is a learning event, you equip team members to act with clarity and confidence. You build a platform for continually evaluating performance and needs. And you give your organization a fundamental level of agility that comes only from having insight into every corner of your business. Do you know all there is to know about how well your organization is performing for your staff and customers? Qmatic can help you take a closer look.